This book covers the use of the Akeeba Backup site backup component for Joomla!™ -powered web sites. 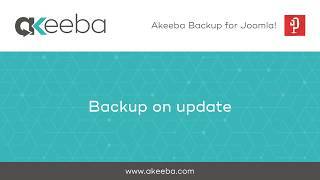 It does not cover any other software of the Akeeba Backup suite, including Kickstart and the desktop applications which have documentation of their own. Both the free Akeeba Backup Core and the subscription-based Akeeba Backup Professional editions are completely covered. If you are looking for a quick start to using the component please watch our video tutorials. The installation / update broke my site! 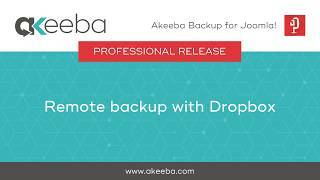 Guidelines for storing your backups remotely / "cloud backup"
Why you need to care about ownership and permissions? Login or Subscribe to submit a new ticket. Working hours: Typically we work Monday to Friday, 9am to 7pm Cyprus timezone (EEST). Support is provided by the same developers writing the software, all of which live in Europe. You can still file tickets, but we cannot respond to them, outside of our working hours. Support policy: We would like to kindly inform you that when using our support you have already agreed to the Support Policy which is part of our Terms of Service. Thank you for your understanding and for helping us help you!